In 1926 WJAZ in Chicago, Illinois challenged the U.S. government's authority to specify operating frequencies and was charged with being a "wave pirate". The station responded with this February 1926 publicity photograph of its engineering staff dressed as "wave pirates". 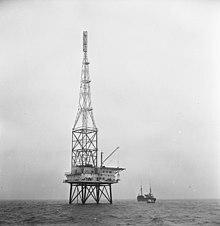 In 1926, WJAZ in Chicago changed its frequency to one previously reserved for Canadian stations without getting permission to make the change, and was charged by the federal government with "wave piracy". The resulting legal battle found that the Radio Act of 1912 did not allow the U.S. government to require stations to operate on specific frequencies, and the result was the passage of the Radio Act of 1927 to strengthened the government's regulatory authority. ^ WJAZ "wave pirates" publicity photograph, Popular Radio, May 1926, page 90.